In this tight economy, it’s imperative that you try and save up whatever you can. The same applies to moving and relocations. Transferring to a new home will involve a lot of costs, especially if you’re planning on a long-distance move. But don’t you fret because today we’re giving you 16 ways on how to save on moving costs. Get Multiple Quotations – This is the number one tip for any shopper. You don’t always need to go for the first seller you see. It’s the same thing when it comes to moving. Before you make your decision, make sure that you’ve gotten quotations from multiple companies. This way, you’ll be able to compare their cost and services first. Use Your Bargaining Powers – Once you’ve compared all the quotes you’ve gotten, you can talk to company A and let them know about the better price from say, company B. This could give you leverage on negotiating a discount or maybe even a freebie service. Let Go of the Junk – All too often, people love hanging on to their old junk. What they fail to realize is that sometimes, moving your old items can be more expensive and impractical than buying a new one instead. For example, look at your television set. Do you really need to bring that all the way upstate when newer, bigger, and better flat screens are so cheap nowadays? The same goes for big dressers and furniture that will only incur special moving prices because they need extra manpower and protection. Lessening your load will result in cheaper moving costs. If You Don’t Need It, Sell It! – Okay, so now you know that it’s best to let go of some things rather than add them to your total moving load. Another great tip for people who are tight on cash is to sell the things that you don’t necessarily need. Take note that before you do this, you have to do a thorough inventory of all your belongings. This includes even the smallest items in your home like books, magazines, fashion accessories, cutlery, etc. If you want to earn some dough while lessening your moving costs, holding a garage sale, or selling unique stuff online (like on eBay or Craigslist for example) is a fantastic idea. Think of that ugly sweatshirt that no longer fits you. Get rid of it ASAP! Consider the Weather and Topography of Your New Place – If you’re moving into sunny California, do you really need to pack all of your thick winter coats? The same goes for shoes, scarves and other weather-related possessions. Letting go of these will not only save up on space but also lessen the weight of your items, thereby affecting the overall price. Some Days Cost Less than Others – In the moving industry, prices are often higher for moves that are scheduled on the start and end of the month. The 15th is also a bad day. This is because these dates are often picked by more people. Therefore, there’s a premium for beating out your competition. So if you want to save up on costs, pick other dates instead. Oh and let’s not forget, weekends cost more than weekdays too. Plan an Off-Season Move – The peak season for moving happens during summer. The weather conditions are ideal and kids are off from school, so most people are competing for these dates as well. So to avoid the rush and to save some cash, plan your moves on a different month instead. Packing by Yourself – When it comes to any type of service industry, convenience equates to more cost. Therefore, if you choose to do more things by yourself, you’ll be able to reduce your cost considerably. So instead of asking your movers to do the packing for you, why don’t you do it instead? Get your whole family to help out and you may even get a kick out of it. Save up on Packing Materials – Instead of purchasing new packing materials, get creative and find ways to save up on costs. For your moving boxes, try asking your local groceries and supermarkets for their used boxes. They usually just throw these away so you have a good chance of getting them for free. You can also use old newspaper pages as protective covers for your plates and glasses. If you’re transferring your cabinets and drawers, you can also use the drawers as moving boxes. Stuff small items in it and then just cover the top with plastic and some tape. Find out How to Get Free Storage – A lot of moving companies actually offer free storage (a few days to a week) to their customers but the thing is, they don’t always say this out loud or offer it straight away. So before you decide to pay for storage, ask if they can offer you something for free. Don’t Go Full-Service – As mentioned earlier, the more things you do by yourself, the bigger your savings. So if you’re really tight on budget, it may be good to consider skipping full-service movers. For some people, just hiring a rental truck is enough for their move. Of course take note that a self-service move will take up a lot of your time and effort so be prepared to devote your energy and resources on this. If you can ask your friends to help out, all the better. Combining Moves – If for some reason you and your neighbours (or nearby relatives) are moving on the same day and to the same location, you can also try combining your moves in order to save up on costs. Just make sure to properly label your things so nothing gets lost or jumbled. Be Flexible with Dates – Asking for a tight deadline on pickup and delivery will cost you. So to lower your costs, tell the moving company that you are flexible with the dates. This way, they can combine your shipment with others and they too can save up on shipping and transportation fees. Pay in Cash or Cheque – Paying with a credit card is actually more expensive by at least 5%. This is because of all the service fees and bank charges that a credit card transaction incurs. Cancel your Subscriptions – Cancel your cable, internet, newspaper and magazine subscriptions ahead of time. The same goes for your water, electricity and gas. Give them a specific date on when to have them cut. For basic utilities, the most ideal time is to have them disconnected the day after you’ve left. Don’t be Tempted by Extremely Low Bids – As a last note, remember that the lowest bid doesn’t necessarily mean that it will be the cheapest move. Unscrupulous companies will start with a low quotation and then gradually charge you with add-on services as the move progresses. 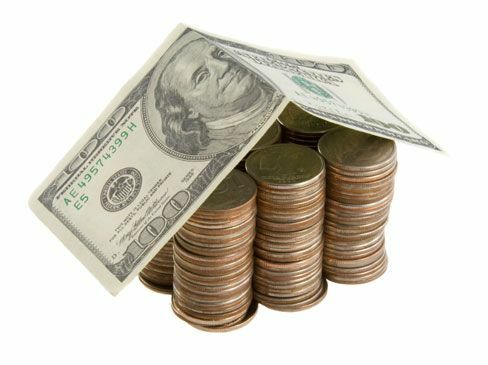 There you have it, 16 practical tips on how to lower down your moving costs. In the end, all that you really need is some creativity and a bit of planning. Good luck with your move, and we wish you the smoothest of transitions!